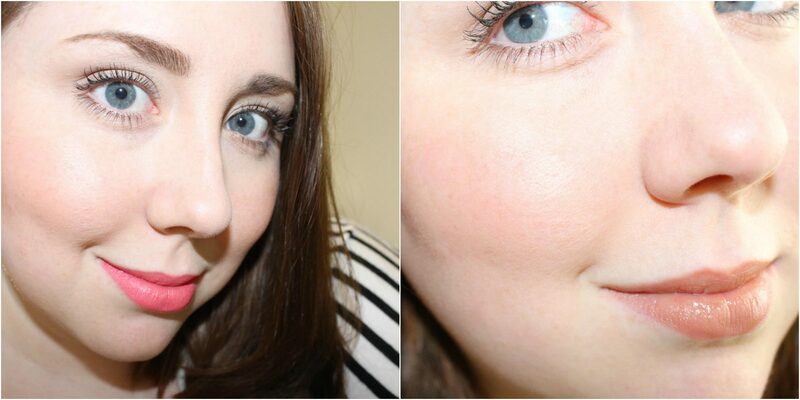 Some new offerings for today, the Barry M After Glow Bronzer and Radiant Rod Highlighter! I have been looking for some good drugstore alternatives to my favourite bronzer (Guerlain Terracotta Bronzing Powder) with no joy, now I would say 80% of my makeup is drugstore and I am not someone who needs high end products but for me, high end bronzers are the only ones that work for my pale skin. That being said I keep an eye out for cheaper alternatives and when I spotted these in Superdrug I though I would give them a go, and I am really glad I did! Firstly the After Glow Bronzer, it is the lighter of 2 shades (with DeepGlow for dark skin-tones) and it a warm toned shimmery bronzer- something I would usually avoid at all costs! When I swatched it in store though I was really impressed with the shimmer, it is more glowing than glittery with no thick glittery particles and just gives a really beautiful luminous finish, this makes it perfect to use all over the face! 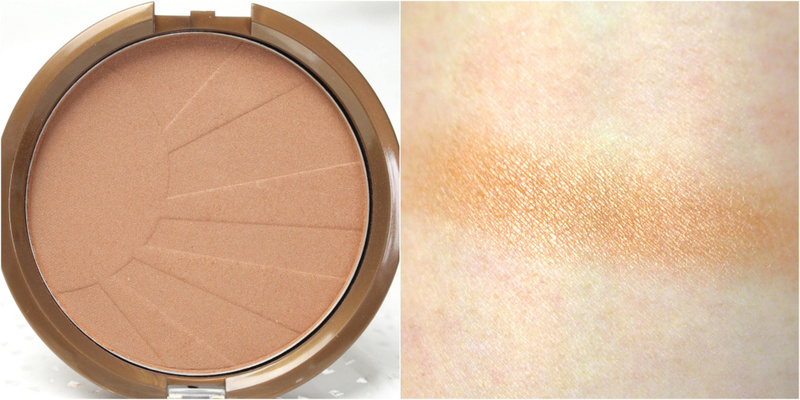 It is slightly warm toned but not orange at all, something that always happens with drugstore bronzers! It has more of an olive undertone which makes it look really natural on the skin. I have been using it non stop and everyone has commented on how I look so ‘well’ whenever I wear it! It also builds up really well so I can use it when I have fake tan on too which is great, and as the pan is so big I have been dusting it along my collarbone and chest for a sun kissed look. I am in love! Highlighter wise I struggle, I always find highlighters look a bit much for the day and a lot of cream highlighters end up looking a bit streaky and moving my foundation which can look really unnatural. 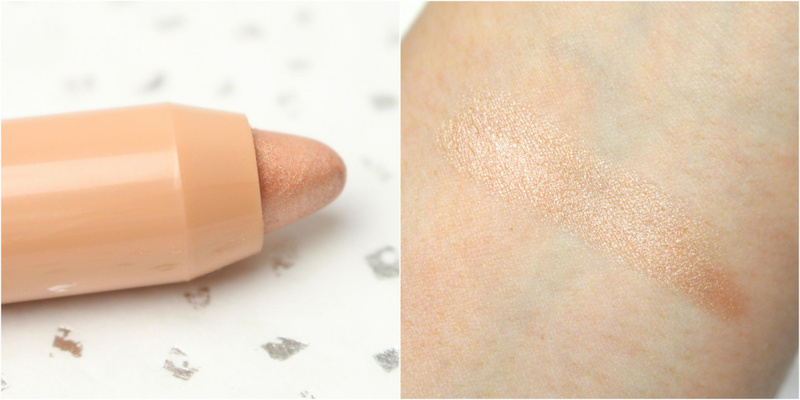 This Radiant Rod is very subtle, it is like MAC all that glitters in cream stick form and the warm champagne tone suits every complexion, it is quite a hard product and you can draw it straight on to the tops of your cheeks, the nose and brow bone and then tap it in to blend it, which is great if you find cream products ‘move’ easily on your base/skin. It gives an ‘illuminated from within’ look to the skin, like when you have had a really good holiday/nights sleep/facial, it is natural enough to pop onto bare skin too which is something I have never found from a highlighter before! 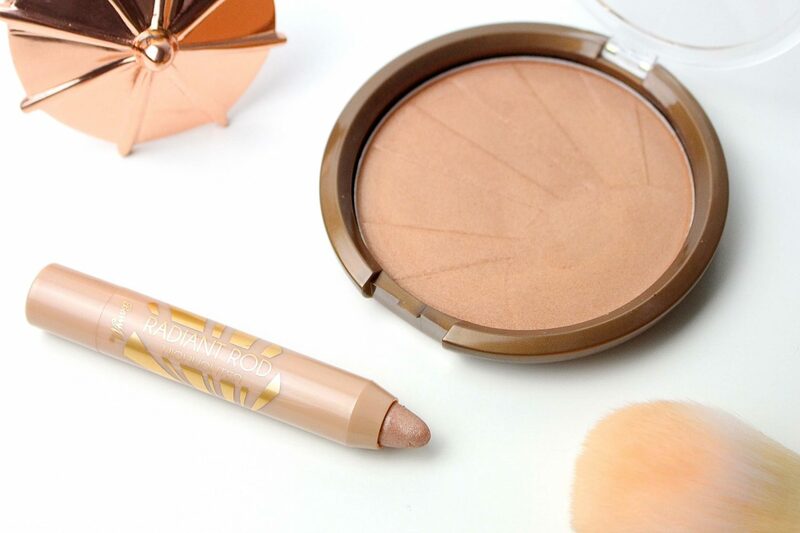 Together these to are my dream bronzing combination, they look natural but glowy, give me a boost of warmth without looking orange or glittery and they suit all skin-tones which is great for me as I like to fake tan! I would definitely re-purchase and recommend you give them a go if you are in the market for a new bronzer or highlighter! "Pet Corner : Our (Not So) Little Lola"
I love the sound of the radiant rod highlighter! I find they look more dewy and give just the right amount of shimmer! They both look so pretty on you too! Wow, these are some lovely products for a great price. The colours really compliment your skintone.